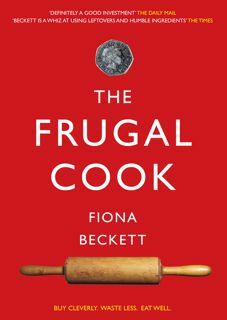 The Frugal Cook: Why DON'T Frenchwomen get fat? Why DON'T Frenchwomen get fat? Having blogged the other day about how easy it is to eat healthily in France a totally contrary thought occurred. Why don't Frenchwomen - and men - get fat? By all rights they should. French restaurants always have a prix fixe menu - usually two or more - alongside the à la carte which are almost always better value than ordering dishes individually. We have deals here in the UK too but they're usually two course ones which makes it easy to eat moderately. In France menus almost always include a dessert and sometimes cheese as well so it's more economical to eat 3 courses than two starters. So how do Frenchwomen do it? I can only assume they don't eat everything on their plate but as someone who was brought up to do just that I find that well nigh impossible. I also find it hard, as a self-styled frugal cook, to resist a bargain so always find myself going for the set price option. This may well be why I inevitably come back from holiday a good kilo or two heavier than when I went away. And why I'm now facing the inevitable post-holiday diet. So I'm asking those of you fellow foodies who remain enviably trim, how do you do it? And what do you think is the Frenchwoman's secret? I believe French women (and men) don't snack. They don't do biscuits, chocolate bars etc. They only eat at mealtimes and then go off and do something more interesting! At least that's my experience. I was told about the not snacking too. And apparently the portions are small. French doctors also do very scary things to you if you're pregnant, I've been told. A friend living in Paris was weighed completely naked every time she visited her doctor when she was expecting, and if she'd put on too much weight was told to stop eating things like fruit or cheese! My friend told me that the French are paranoid about regaining their figure after having a baby and therefore rarely breastfeed (although in the UK you're told that this helps). When in France I have seen French ladies eating. And they do have smaller portions, they tend to have a starter. because they have eaten a starter they get full quickier? Also the food I find is always fresher. And even when we are in France, we are satified to stop the car, get out a baguette and a bit of ham or cheese and it seems to be enough. Where as in England, I would want mayo, lettuce tomato the whole deal. I think it might be to do with the bread being nicer over there? @The Vicar's Wife. That's horrible about being pregnant. I'm 4 months so far and have been pretty much given into every craving I've had - not one medical professional has told me to watch my weight! Fiona, I'm usually a size 8 and don't put on weight, despite living for food - but it wasn't always the case, I was 2 stone heavier at one point. I worked out that if I really limited my alcohol intake I could pretty much eat what I liked. I think a lot of French people do this - and they tend to drink when they're eating as well, which also makes a difference. I also eat little and often, several times a day, rather than having regular blow out meals (though of course I would still do so on occasion). This was no hardship, because I feel ill if I don't. Also, after a day of recipe testing and constantly trying stuff, I'd rarely feel like eating a lot of what I'd been cooking all day. I really want to share my personal view on this, as I am an European woman. I weigh 106 lb at 25 years. My mom weighs about the same at 54. Anyhow, in Europe we not only inherit "thin" genes, but also we walk a lot. We walk in the house, around the house, to work, to the fresh market and so on. My mom is a nurse and she walks 20 minutes to get to work and there does not have time to sit down. I am about the same and really the diet is different from the American one. I have to tell you that both my mom and I eat lots of sweet, but less of the fried stuff and rarely touch the fries. Sweets are good, but the fried stuff is not as appetizing. Oh, and the portions in Europe may look rather skimpy for the American type of eater, but for the Europeans, they look normal. The less in the plate, the more towards the normal. Some excellent tips here which of course somewhere deep down I know but choose to ignore! Actually I don't snack, Chris, but do drink more wine in France which I know puts on weight. And eat more cheese than I would at home - as an extra course rather than a meal. Bread has always been a weakness and it's great in France, I agree Slice of Life. One might not have mayo but one does eat more of it overall. That's a pretty scary story about French doctors, I agree Catherine and The Vicar's Wife. Maybe done with the best intentions but I would have thought likely to give some women eating disorders. And fruit must be good for you. And thanks for the reminder about exercise Catalina. I do walk a fair bit at home in Bristol but exercise much less in France especially when it's as hot as it was this time. But the main problem is that I just love food too much and find it so hard to resist! I live in France, the North and just back from a glorious trip to the South. I have lost two kilos ! I've eaten, but haven't snacked, been in the sea at least twice a day for 9 days, had plenty of wine and champagne but no spirits. I feel surprisingly well !!! In fact couldn't even be bothered with the usual snacks that are always at home since being back, maybe that is it. Won't be difficult to keep it going as greenhouse full of tomatoes, just made jam from the elderberries in the garden and a great desert from the strawberries that are dotted about. Fiona, it was a pleasure to meet you, by the way the Bouillabaisse in Le Rayol was wonderful to share with the family and friends. I've thought about this a lot too, but I think it's generally the French 'everything in moderation' attitude. I holiday a lot in France because both my aunt and my sister live there. My sister's lost weight since moving out, partly because she walks a lot more (I agree that French people are generally more active - French TV is pretty rubbish on all accounts so maybe that's why?! haha) but also just having proper square meals and not really snacking. Her French fiance eats loads and is still like a whippet, partially due to good genes but also due to a balance of everything (he doesn't consider soup to be a meal on its own AT ALL, but then he doesn't go mental on the biscuits like my sister used to). My aunt and uncle religiously have an 'apero' (glass of wine and nibbles, like anchovies etc) before their dinner but other than that don't snack at all, and again are both very trim and healthy people. My sister has also mentioned that there is basically no 'Tesco Value' equivalent in any supermarket in France, which is probably quite telling. Nothing wrong with Tesco Value for stuff like tomatoes etc if you're on a tight budget, but there must be something to be said for not gorging on loads of cheap, mass-produced food, and instead buying less of something for better quality. I am half French and come from a family of women who all struggle with their weight. Basically, I agree with Vicar's Wife, there is so much pressure to remain slim, and doctors are instrumental in maintaining this pressure. One French doctor put my mum (who is the slimmest of the family and is really quite trim except for a slight tummy) on a slimfast diet! Having said that, people in France tend to think differently about mealtimes and snacks. There are strictly set times for eating and snacking (le goûter!) and once at the table, there is no rush, things are eaten slowly, knife and forks are usually put down between mouthfuls. This is probably on the wane, but that was my experience of living in France as a teenager. And many thanks for your contributions Gemma and Stef G. I think you're right. French meals on the whole induce a much greater sense of satisfaction. It's not so much that there's more to eat but it's more varied and spread out over a longer period so you don't feel the compulsion to hit the biscuits mid afternoon. That said I do eat more bread, cheese and drink more wine while I'm there so I think these fabled Frenchwomen must simply nibble rather than tuck in . . . When I went to visit my parents in Costa Rica, I lost 3 to 4 kgs in two weeks. All I did every day was swim for 25 minutes in the morning. The rest of the day I just lazed around. I ate fresh fruit for breakfast, with some muesli, for lunch and dinner my mother cooked for me - rice with fish, vegetables, spare ribs etc. But I do remember not eating ANY bread, butter, cheese or crisps. Once in a while, I had a piece of home-made cake. The weight stayed off for nearly a year too! I live in Paris and holiday in the SW of France and I do see regional differences (generalising, of course), Even here I am beginning to see some heavier younger ladies. I agree with all the above re food - regular meal times, moderation of food and drinking, no real snacking etc but, also from an early age the doctors instil the importance of correct weight (annual medicale sportif here) coupled with pride in appearance (and a suspicion of every other female) with enormous pressure to leave the house looking good...as a footnote, try buying over size 14 here too...so, if you can't beat them....! Most French women have the long lean body type. These body types find it difficult to put on weight and muscle. Where as the English for example have a more round (especially their arses) shape and for this body type it is easy to put on weight. Voila! Of course chain smoking and having worms is a big help. Actually Steph there is a 'value' equivalent in France, Lidl, Ed l'epicier and franprix! Can't match you on the being on the go for 18 hours front James, but do quite fancy taking up swimming again. That could be a solution, Helen. Interesting point about Frenchwomen's consciousness about looks recipes2share, combined with pressure from doctors that others have mentioned. I certainly think Englishwomen (me included) are much more careless about the way they look. I remember a French friend always disappearing to some salon or other for various mysterious treatments. Relief to put it down to body type, fags or worms, Jane and msMarmitelover but suspect that's just a cop out. Less food and more exercise is the obvious message, I'm afraid . . . I guess I am lucky in that my mum & her family have always been on the slimmer side, to which I have followed but its a balancing act as on my dad' side all the women are more curvier end of the scale! Food wise, unless something is begging to be eaten I rarely have seconds or 'pig-out', somewhere in the back of my mind I know I shouldn't eat more than a light plateful and its that what keeps my waist in check I think! Same goes on balancing naughty and nice, if one day I eat, erm, too many pannacotta's the rest of the week its salad for tea! I am always shocked by the number of young women that haven't changed this habit even when their mothers have had breast cancer - it is still portrayed as being 'cool' to light up, including my step daughter and both her older girls. A complete mystery. I managed to put on half a stone somewhere over the course of being in Normandy for 10 days - cheese + cider = blubber (have you drunk that cider, by the way?). I have done a fair bit of research, and have come to the conclusion that it must be all that pouting that burns the calories. It must be exhausting to be so haughty all the time. I had two kids in quick succession and am back to my pre pregnancy weight, I was back in my own jeans after 5 weeks - breastfeeding worked for me, it was fantastic ate everything and anything whenever I wanted, my son doubled his birth weight in 10 weeks imagine how much I could indulge to do that! Maintenance is very different to trying to lose weight, I don't allow myself to drive into town and we have a large dog who requires lots of walking, I don't snack much and simply don't keep temptation in the house as my will power is limited. I belive in oats (muesli or porridge) for breakfast. There's really no getting round it - eat less, move more :-) I would agree with alot of the habits in the French Women Don't Get Fat Book. Perhaps they don't eat a lot of processed foods. That way the food they do eat has a greater nutritional value and fulfils their dietary needs, so no need to snack on empty calories!